I don’t know about you, but I’m ready for dance-off! A bit random, yes – but a good dance-off can really make or break the week. Our first competitors are Jerry Dandrige and Amy Peterson from the 1985 movie Fright Night. Jerry is sporting a rather large neck-hole sweater to bust his moves in and the duo will be dancing to the Evelyn ‘Champagne’ King song “Give It Up“. Let’s see what they’ve got! Oooooh. Steamy! You could really feel the chemistry between the two of them. That is until Charley Brewster showed up and started cockblocking and ruined the mood. Speaking of Charley, he’s up next in the Dirty Horror Dance- Off with his partner Regine Dandrige (ooooh sibling rivalry going on!) 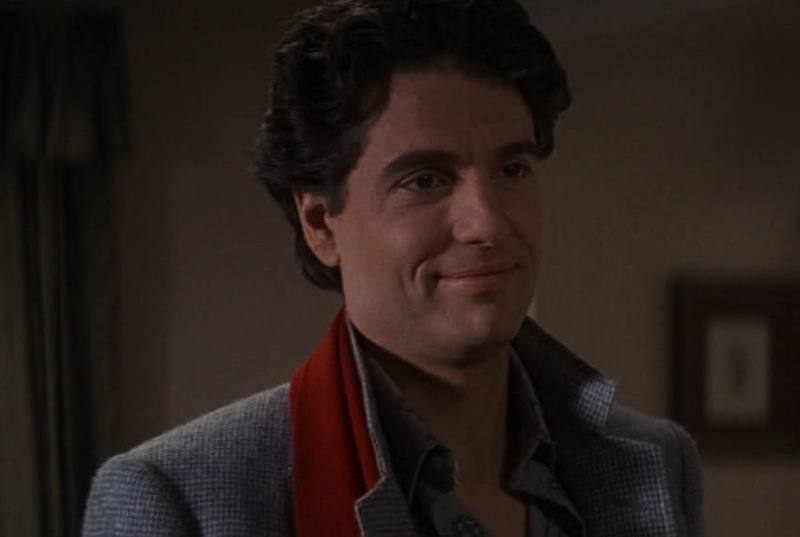 from the 1988 sequel Fright Night Part 2. I’m not sure that they’ll be able to top the sensuality and poise of our first couple, but let’s see what they can do to the tune of “Come To Me” by Deborah Holland. CHARLEY BREWSTER & REGINE DANDRIGE!!!!!!! Regine went full vampire, and we all know that going full vampire results in a victory.